My nephew Kenny came down to south Florida for their first Baby Gender reveal party. I had promised the legendary flats fishing guide, Bob Branham, that I would help collect bone fish for BTT (bone fish tarpon trust). 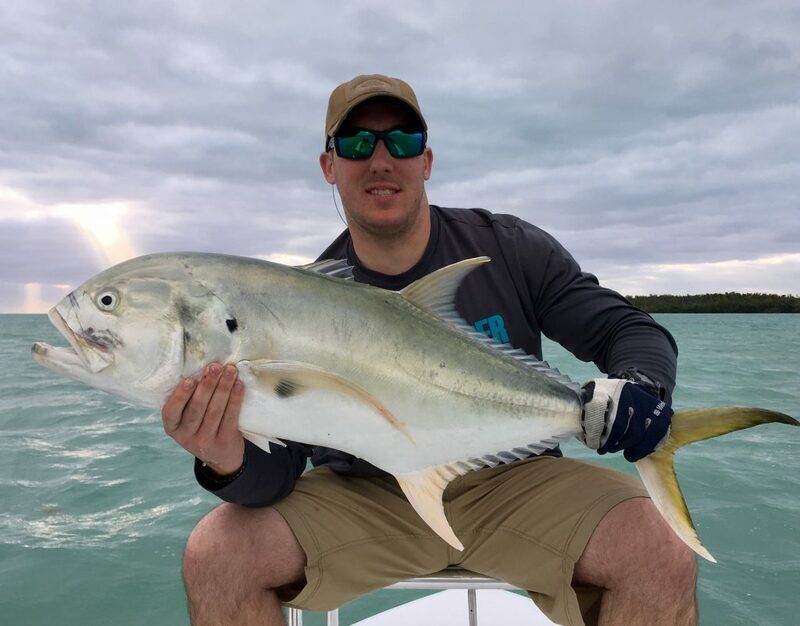 For some reason this crazy jack swam into about 18 to 20 inches of water and ate the shrimp that was attended for a bone fish. I have to tell you that jacks are pound for pound one of the strongest fish in this area. On a 10 pound bone fish rod it was a great battle; with all the odds in favor of the jack, but Kenny is a very good and accomplished angler. We had to chase this jack all over the place for at least 30 minutes, until I got the chance to grab it’s tail and haul it over the side of the boat. Great job and a fish that I’m sure he will remember for a life time. We were only able to get one bone fish that day for the Bone fish Tarpon Trust. But it was a very nice 28″ inch bone fish and I hope that it lays lots of eggs and BTT are the first to successfully breed bone fish.